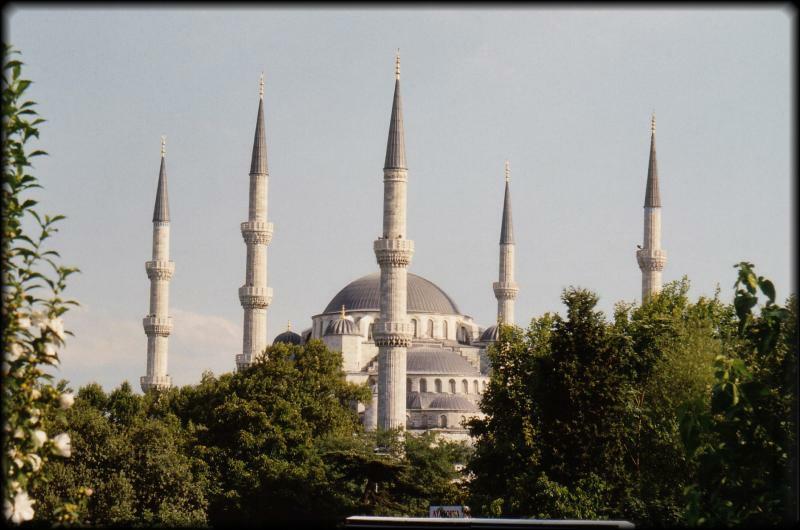 Our first stop in Istanbul was the Blue Mosque. It’s not actually blue on the outside, but the tiles inside it are. 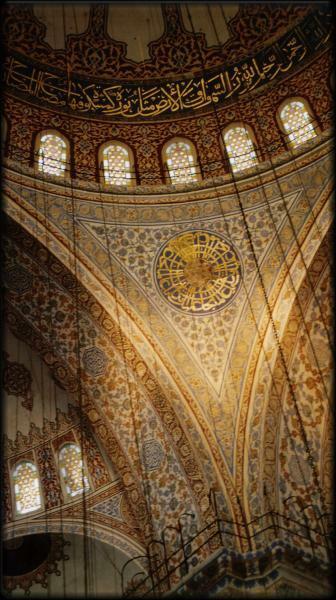 It was the Sultan Ahmet’s response to the Aya Sofia and was completed in 1617.Be sure to attend outside prayer times. Men should be wearing pants, and women should cover their head (if you don’t have a head covering, one will be provided for you). When we visited, the Mosque was packed with noisy tourists. The locals who were praying seemed oblivious to it, but I can’t help but think they get tired of it. Yes, there was a lot of tourists, but people were not making much effort to lower their voice – they just didn’t seem to care this is actually a holy place of worship, and not just another tourist site. Once inside, you will be amazed by the blue tiles, and the massive chandelier hanging down from the ceiling with barely visible wires. n the evening, there is a light show outside the Mosque. The show is in a different language each day. We happened to catch it in English, and left half way through, bored (as most tourists did). If you happen to be in the area, it’s worth stopping for a few minutes to look at the Mosque bathed in blue light, but the story is really not worth your time.